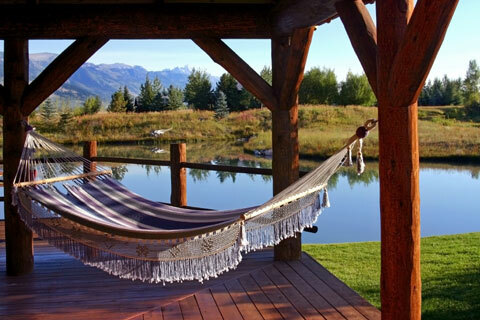 There is nothing like a beautiful deck to increase the enjoyment of your home. Decks provide an outdoor area for the family to relax and also add space to your home. Decks are particularly usable in the warmer months, but they can also be designed for use during cold weather. Until the 1990s, exterior decks were usually made from wood lumber. Pressure-treated softwood was an economical alternative to higher-priced clear red cedar or redwood decking. However, most wood decking will turn gray when left to the elements, and it will crack, bow, and split if not properly maintained. More recently, certain tropical hardwoods and various composite decking alternatives have become available. Composite decking products, typically made from wood fiber and recycled plastic, last longer and require less maintenance than many types of wood decking. Although they are more expensive than traditional forms of decking, many people find the convenience of composite decking surfaces to be well worthwhile. When it comes to ideas for your deck, the sky's the limit! You may want to design a simple, one-level deck, or you can design a multilevel deck with lots of square footage. You can shade your deck with an awning or a pergola, or you may choose to expose your deck fully to the sun. Decks can include hot tubs, outdoor kitchens, and even cozy fireplaces for outside winter fun. You'll want your deck's appearance to co-ordinate with the style of your house, and there are a wide variety of railing and fastener choices that will help you achieve this objective. One very popular deck-building choice these days is concealed fasteners. These fasteners enable you to construct a deck without nails on the surface. Not only does the finished deck look sleeker, but injuries from raised nails are avoided. 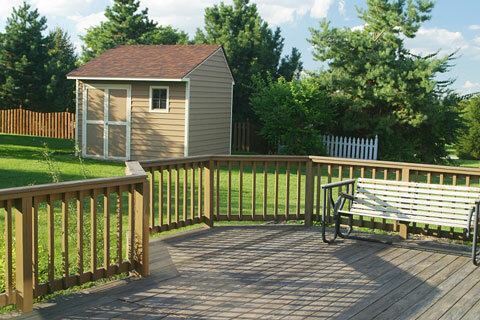 Whatever the design of your deck, remember to include all of the extras in your budget. In addition to the decking itself, be sure to factor deck trim, footings, railings, and any extra features into the final price of your deck. Once you have designed your deck and selected your deck plan, you will probably need to submit your construction plans to your local building department for review and permitting. The permit request should include drawings and exact measurements of the deck and a list of all materials to be used. Check with your building department to find out exactly what they need. 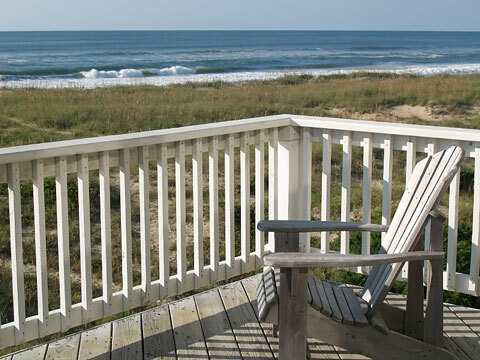 On Deck-Ideas.com, you will find a broad range of deck planning, design, and construction resources, including convenient links to deck photos, deck plans and construction ideas. You can also get matched with local deck builders and locate suppliers of decking, railings, and deck fasteners. We hope you find this information helpful in planning your new outdoor living space! Features a good selection of categorized photographs for all types of decks and related structures. 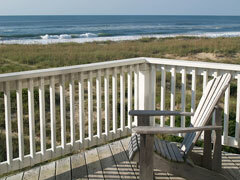 This manufacturer of maintenance-free deck railing components features beautiful and unique deck rails and accessories. Try out their virtual deck designer! Deckorators is a division of United Forest Products, Inc. Create your own deck by dragging and dropping deck structures and accessories to design an outdoor space for your home. A deck is a fairly basic home construction project, and this website contains do-it-yourself project help for building a deck. This site, authored by a residential General Contractor, offers comprehensive deck planning and construction information. Offers a hidden deck fastening system that eliminates the damage to deck boards caused by other fastening systems. Features easy-to-install hidden deck fasteners that can be used with all types of decking materials to give your deck a clean, uniform appearance. This under-deck fastening system uses tracks fastened to deck joists with long life screws that also secure each board from below. Tiger Claw® hidden deck fasteners use a patented design that is easy to install and provides a nail-free deck surface. This manufacturer of exterior waterproofing products features oil-based and Latex exterior wood stains as well as pressure-treated wood products. Whether you're staining a new deck or restoring an old one, this paint company features a selection of deck stains plus deck cleaning and maintenance products to help you achieve professional quality results. Offers a comprehensive family of wood care products including solid color acrylic and oil-based decking stains plus deep-penetrating decking stains formulated with a special alkyd-resin base. Olympic Paints and Stains produces quality exterior stains, paints, and specialty products. Choose Olympic products for their attractive final appearance, durability, color, ease of application, and inherent protective properties. Overview of wood treatment products and solutions. Presented by CSI, a supplier of wood protection technology to the wood preservation industry. Find dozens of inspiring ideas and important design information for adding living space to your home with a new deck or patio. Features a selection of books about decks, patios, and walks. Find photographs and tips from top designers. Do It Yourself - diy ideas and tips for homeowners. Patio Ideas - outdoor patio planning and design.